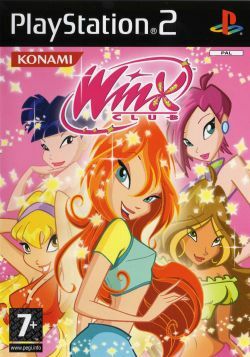 Game description: Join the Winx Club and prepare for an interactive adventure of fairies, fantasy, fashion and magic! Take on the role of Bloom, a 16 year-old Earth girl, who discovers she is a magical fairy! Meet Bloom's fairy friends, Stella, Flora, Tecna and Musa and battle with them against the evil witches in this most exciting girls adventure ever! Featuring a wide range of community-based activities and collectibles, The Winx Club will whisk you away on an unforgettable adventure! This page was last edited on 21 April 2016, at 15:44.